Below are settlements and plaintiffs' trial victories in medical malpractice cases in Maryland in 2011. You can find 2012-2016 case results - and how we picked these cases - here. Montgomery County: $2,500,000 Verdict. Our client's husband is injured in a fall, breaking his hip. He receives treatment at Montgomery General Hospital. A simple recovery stay in the hospital turned into a wrongful death case and a nightmare for his family. Two days later the patient suddenly experiences multiple organ failures and dies. Plaintiff’s surviving family - incredibly nice people - argue that the organ failures started with their father’s kidney shutting down due to lack or fluids. They produce evidence that nurses alerted the defendant doctor to the fact that the patient had not produced urine in twenty-four hours and that a bag of saline and a blood transfer could have saved his life. The family further argues that the mental changes (such as the patient seeing dead relatives) and disorientation should have alerted doctors to the lack of blood flow to the brain. The defendant denies all the allegations and says the patient died due to aspiration of Kayexalate, a drug given to reduce potassium. The doctor testifies at trial and does so very poorly. The jury sides with the family and awards the family two and a half million dollars. Miller & Zois tried this case. You can meet our client here. P.G. County: $825,000 Settlement. Plaintiff visits her doctor, seeking relief for chronic neck and back pain. The doctor diagnoses cervical radiculopathy, otherwise known as a pinched nerve, in her spine. The doctor decides to perform a cervical epidural steroid injection and medical branch nerve blocks at C7. Both procedures are completed the same day. Immediately after the injections, the patient experiences severe pain and numbness in her entire left arm. Plaintiff develops a claw grip deformity and eventually loses the use of her arm. She brings suits against the doctor, arguing that he should have injected the steroid into the space around her spine, not directly into it. The doctor denies liability but agrees to an $825,000 settlement in Prince George’s County. Frederick: $1,225,000 Verdict. A twenty-five-year-old kindergarten teacher seeks help for her chest pains and persistent cough. Her doctor performs an x-ray and diagnoses her with pneumonia. After thirteen months of treatment with no improvement, another scan is performed. It is discovered that she has terminal lung cancer. The teacher dies less than three years later. Plaintiff’s estate claims that if the diagnosis were performed properly, the teacher would have had a 90% chance of survival. A Frederick County jury gives the young woman's family a $1,225,000 verdict against the Medical Group. Baltimore City: $5,500,000 Settlement. A baby is delivered at defendant hospital when the mother was thirty weeks into her pregnancy. Despite weighing less than three pounds, her brain scans, and umbilical cord pH were normal. As part of the intensive care, a venous catheter is placed through the umbilical cord into the baby. An initial x-ray shows a successful placement, but a follow-up x-ray performed five minutes later reveals that the catheter had extended into the baby’s heart. The following day, a third x-ray shows the same problem. The baby soon afterward becomes hypotensive. By the time the incorrectly placed catheter is withdrawn the baby suffers global and irreversible hypoxic brain injury. Plaintiff argues that defendants should have repositioned the catheter as soon as they had the initial x-ray evidence that it was misplaced. Defendant denies liability - or at least pretends to - but offers five and a half million dollars in an out-of-court settlement. Maryland: $6,116,000 Verdict. A twenty-five-year-old husband dies after his doctors fail to diagnose a pulmonary embolism. After being rushed to the emergency room at Fort Washington Medical Center, the patient spends two days in the hospital with a temperature and hypoxia. Though a pulmonary embolism is the initial differential diagnosis, it is ruled out after an EKG, and the patient is transferred to Southern Maryland Hospital for pneumonia treatment. Plaintiff is never seen by a house physician and collapse in front of his wife. He never regains consciousness and dies. An autopsy confirms the embolism as the cause of death. Plaintiffs allege wrongful death, claiming that the doctors were negligent in not timely diagnosing and treating the embolism. If it had been noticed earlier, the patient’s chance of survival would have been 95%. Defendants deny liability and claim that they acted in the standard of care at all times. The doctors’ insurance carrier was Medical Mutual. A Prince George’s County jury finds for the plaintiff, awarding his family a $6,116,000 verdict. Montgomery County: $404,592 Verdict. An elderly woman is taken advantage of by her dentist and is grossly over treated. To correct a mild rotation of two teeth, the dentist recommends six crowns and performs the operations without gaining informed consent. Eventually, the dentist places twenty crowns in total, and the patient cannot chew or even close her mouth fully. All the crowns are eventually removed, and the plaintiff undergoes several root canals. Plaintiff alleges the crowns were unnecessary and that they did not match each other in color and shape. Plaintiff’s experts state that she might eventually have to lose many of her natural teeth. Defendant contends that all of the crowns were asked for and that the alleged future corrective treatment was overpriced. A Rockville jury awards the plaintiff $404,592. Anne Arundel County: $28,874.85 Verdict. Plaintiff is rushed to the emergency room complaining of severe abdominal pain. He is quickly diagnosed with an acute appendicitis and is operated on by the defendant. The patient is sent home two days later. Soon afterward, the plaintiff is back in the emergency room complaining of a pain in the same location. A body scan reveals that an appendix is still present, revealing that the patient had a double appendix. 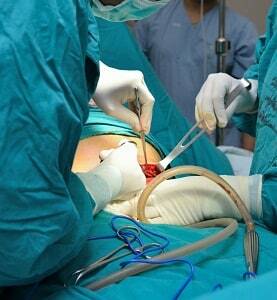 Instead of promptly removing the second appendix, the patient is sent home two further times. Finally, another doctor removes the second appendix. Plaintiff sues the original surgeon alleging that he was negligent and breached the standard of care by not correctly reading the CT scan and for ignoring the patient’s worsening condition. Defendants argue that the standard of care does not require the surgeon to suspect dual appendices. 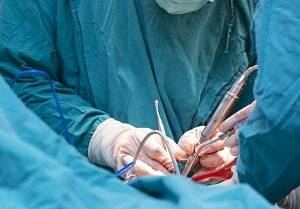 An Annapolis jury finds that the surgeon was negligent and awards the injured patient $28,874.85 for medical bills, pain, and suffering, and lost wages. If you or a loved one have been a victim of a medical mistake, call 800-553-8082 or get a free online medical malpractice consultation. How Much Money Can I Expect to Get for My Malpractice Claim?